When you have found a Product on the Website that you would like to buy, please click on the button labelled “Add to cart”. This will add your Product to a virtual “Shopping Cart”. To change what’s in your virtual shopping cart at any time, click on the Cart button in the upper right hand corner which will lead you to your virtual shopping cart where you can View/Edit quantity/Delete/Apply coupon. To remove a Product from your virtual shopping cart, click on the button labelled “X” by the product. To add more Products to your virtual shopping cart, Go back to our online shop and carry on with the shopping. To pay for the Products in your virtual shopping cart at any time, click the button labelled ” Checkout”. When you click the “Checkout” button, you will be asked to provide various information necessary to process your order and deliver the Product(s) to you. Q: Why can’t I make a payment? A: If you PC is running an outdated version of Windows, payment fields in our Online shop may appear unavailable. If you are browsing our shop from the Windows Explorer browser, try to switch to another browser (Mozilla Firefox or Google Chrome) or refresh your current browser. Q: Is the card payment option on your website safe? A: We guarantee a safe and secure shopping experienced online, secured by Stripe Payment Gateway for its online credit card transactions. Q: I didn’t receive a confirmation email for my order. Did my purchase get through? Q: I saw some of the products in you shop in Tuam STREET, but dIDn’t see them in your online shop. A: All stock online is available in our store at The Mediterranean Food Co. at 322 Tuam St Christchurch, however not all stock in store is online. If you have seen an item in-store which does not appear online, please email or call us and we can check availability. You can place phone orders by calling our Team on 03 379 51 22. A: We will endeavour to process & dispatch your order within two to three business days, and a little longer for rural deliveries. Please note, we are unable to deliver to Post Office boxes. Any orders placed on weekends or public holidays will be processed within the next two business days. Orders received after midday will be dispatched the next working day; orders received on Saturdays and Sundays will also be dispatched within the next two business days, excluding stock on back order. When your order has been dispatched for delivery, we will send you a confirmation email (“ORDER COMPLETED”) and following email containing your tracking number(s). Please note: once your order is collected by Fastway courier, we have no control over it. Any enquiries about your delivery need to be directed to the Fastway courier. Please also keep in mind that orders can be held up due to busy sales periods or public holidays. Q: How do you ship my orders? A: All deliveries will be made by our preferred courier Fastway Courier. A: We are only able to deliver orders within New Zealand. Q: Can I pay for my New Zealand order from overseas? A: Kindly note that to be able to purchase and complete a payment from overseas, you will have to enter a New Zealand billing address. Also, don’t forget to provide us a correct email address in case we have to communicate your order with you. Q: I’ve got a confirmation email but my parcel has not been delivered yet. A: When you receive an email from us with the Completed status, that means that your parcel has been dispatched for a delivery. Once your order is collected by the courier, we have no control over it. Any enquiries about your delivery need to be directed to the courier (Fastway). 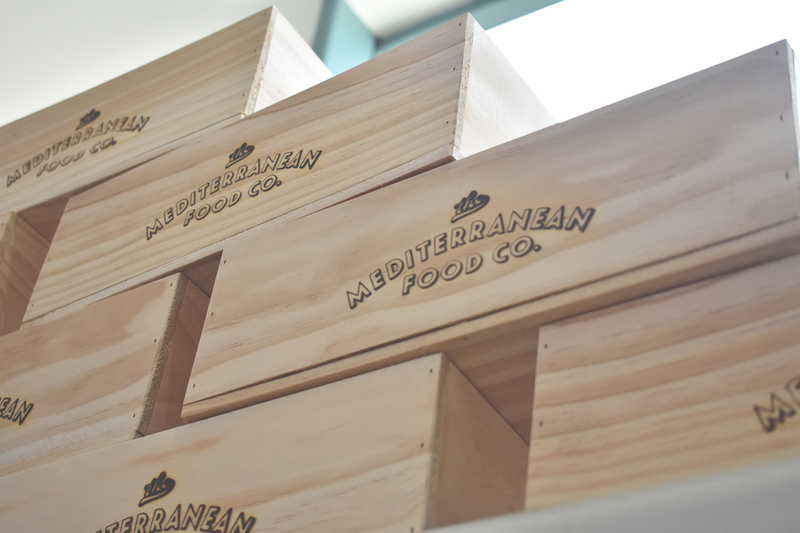 A: The Mediterranean Food Co. is not liable for any products damaged or lost during shipping. If you your order is damaged, please contact the shipment carrier (Fastway) to file a claim. To be able to file a claim we highly recommend to take pictures and save all packaging materials and damaged goods before filing a claim. Q: How can I track my orders & payment? Once you click on “Place Order Now”, your order begins processing and cannot be changed or cancelled. By clicking ‘Place order’, you confirm that you have read and understood The Mediterranean Food Company Terms & Conditions. Once your order has been dispatched for delivery, we will send you a confirmation email which will confirm a “Completed” status. This email will be followed by another one which contains your order tracking number. Q: I provided a wrong delivery address, how can I change it? A: If you have made an error with your address, please have your order number ready and contact us immediately, as we may be able to correct this at our warehouse before your order is shipped. Q: I’ve got a confirmation email but my parcel in not being delivered yet. When you receive an email from us with the Completed status, that means that your parcel has been dispatched for a delivery. Once your order is collected by the courier, we have no control over it. Any enquiries about your delivery need to be directed to the courier (Fastway). Q: My order never arrived. What should I do? A: The Mediterranean Food Co. is not liable for any products damaged or lost during shipping. Please contact the shipment carrier (Fastway) to file a claim. To be able to file a claim we highly recommend to take pictures and save all packaging materials and damaged goods before filing a claim. Q: I would like to return my order. What should I do? Q: I received a faulty item. What should I do? A: If the goods are faulty we will meet our obligations under the Consumers Guarantee Act. If you would like to return a faulty item, please email us on tuamst@medfoods.nz within 24 hours of receiving the item, including a photo if the fault is visible. You will need to return the item to us for inspection (at your own cost) and we will organise a replacement (or credit) for you as per our obligations under the Consumer Guarantees Act. All items must be returned unused and in their original packaging. You will need to provide proof of purchase. See our full Returns & Refund Policy here.